On July 13, 2018, the U.S. Food and Drug Administration (FDA) announced the recall of a popular generic medication used to treat high blood pressure and heart failure. This announcement marked America as the twenty-third country to recall the drug after a potentially harmful impurity was discovered in the drug’s active pharmaceutical ingredient (API) valsartan. It was initially determined that this contaminated ingredient was supplied by the Chinese manufacturer Zhejiang Huahai Pharmaceuticals. Many drug companies that used valsartan from this particular supplier voluntarily recalled their medications. Throughout the remainder of July and into August 2018, the FDA’s investigation of the contaminated ingredient continued and the recall was expanded accordingly. The China-based company, Zhejiang Tianyu Pharmaceutical, and the India-based company, Hetero Labs Limited, were identified as additional suppliers of the contaminated valsartan. On September 13, 2018, the FDA announced the discovery of a second impurity within some of the medications already recalled. Both impurities found in this worldwide investigation are classified as probable human carcinogens. Medications can be recalled for a number of reasons. However, not all of these reasons threaten the health or safety of consumers. It’s important to understand this and remain calm in the face of a consumer drug recall. The main reasons for a drug recall include a contamination like the one that prompted the valsartan recall, a health hazard that would risk patients’ lives, mislabeled medications, packaging or labeling defects, or manufacturing problems that threaten the quality of the drug. Discerning the reason for your drug’s recall will help you respond appropriately. Valsartan was originally sold under brand names such as Diovan, Entresto, and Exforge until its patent expired and generic drugs were developed. It is a medication used to treat high blood pressure, heart failure, and other cardiovascular health conditions. If you learn nothing else from this article, understand the valsartan is safe. The reason the medications were recalled was due to a contamination of valsartan supplied by certain manufacturers. This affected some, but not all of the medications that include valsartan. The brand-name drugs mentioned earlier, for instance, were not affected by the recall. While you might take a generic drug containing valsartan, your medication may be completely safe and excluded from the recall. This first impurity discovered is called N-nitrosodimethylamine (NDMA). It is classified as a likely human carcinogen based on the results of animal studies. As the U.S. Environmental Protection Agency reports, exposure to NDMA resulted in tumor growth throughout major vital organs in animal test subjects, and it’s believed to cause liver damage in humans. The second impurity found was N-nitrosodiethylamine (NDEA), another likely carcinogen. The long-term effects caused by exposure to these two impurities remain unknown. Following an FDA drug recall, it is important to determine whether your medications were affected. The FDA posts a list of the specific medications recalled. 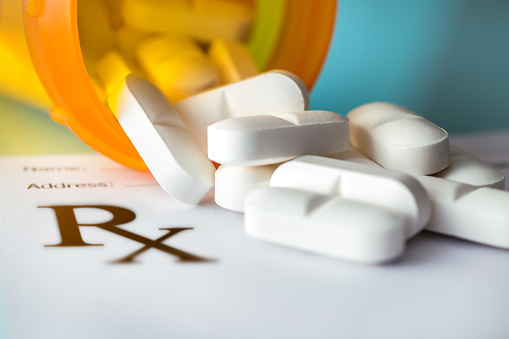 Using the company name, lot number, and National Drug Code (NDC) found on your medication labeling, you can determine if your medication is included on the FDA’s list. If you cannot find this information, call your local pharmacist, and they should be able to answer your questions. If you determine that your medication was recalled, call your doctor immediately. Depending on the condition you are treating, stopping your medication without your doctor’s approval could do more harm than remaining on the recalled medication. Talk to your doctor about alternative drugs that could replace the recalled medication, and unless otherwise instructed by your doctor, do not stop taking your medication until you have obtained a replacement. In the case of the valsartan recall, many patients were either prescribed another drug containing unaffected valsartan or an alternative blood pressure medication. It is also important to mention that once you have switched to a new medication, be sure to pay close attention to your body and any side effects you might experience from the new drug. If you experience any adverse side effects on a medication, be sure to report your experience to the FDA through their MedWatch portal. Should you need medical services to treat adverse side effects of a drug, you might also consider taking legal action to compensate for the medical expenses. Author Bio: Caitlin Hoff writes to shine awareness on important consumer topics that affect people every day. Through her writing, Caitlin hopes to guide families and consumers towards smarter decisions that will improve their overall health. Visit her author page for more information. After retiring in August 2005, Day is still the all-time leading rider at Churchill Downs and Keeneland Race Course in his adopted home state of Kentucky. He won the Eclipse Award for Outstanding Jockey four times over his decades-long career, and was inducted into the National Museum of Racing and Hall of Fame in 1991. His riding style has been described as patient, much to the chagrin of many critics who dubbed him Pat (I’ll Wait All) Day. But plenty of trainers appreciated his gentle hands, giving him 22 rides in the Kentucky Derby. His single win in the race came on Lil E. Tee in 1992 after favorite A.P. Indy scratched. He was sixth on a wet track the year that his mount, Tabasco Cat, would go on to win both the Preakness and Belmont, the two other Triple Crown events. Day admits to serious drug and alcohol abuse in the early years of his career. 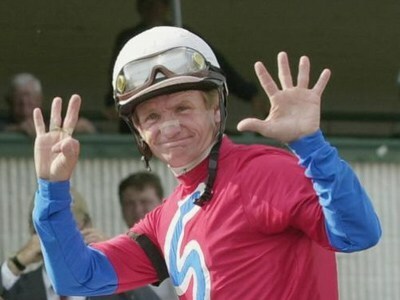 In the early 1980s, he became a born-again Christian, earning the George Woolf Memorial Jockey Award in 1985 for high standards of personal and professional conduct. Many of his best races were in the latter half of his career, including the day at Arlington Park in 1989 when he won eight of nine races and set a North American record. Tip: How did old-time jockeys lose weight before their races? They would bury themselves in the manure pile up to their neck. The warmth of the decaying manure would act like a steam bath, sweating them down to race weight. 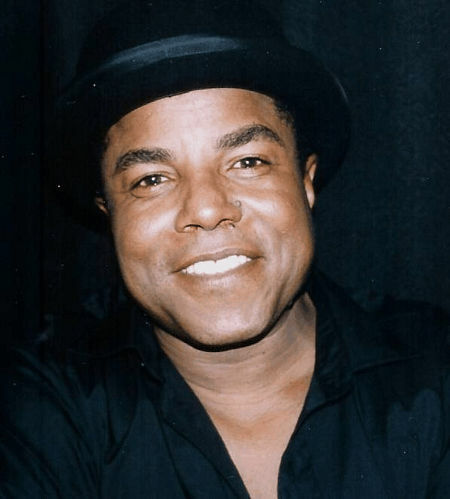 Big brother to Michael, Tito Jackson was the third of ten siblings born to steelworker Joe and devout Jehovah’s Witness Katherine. When he got caught playing his dad’s guitar at age 10 after breaking a string, Joe demanded to hear him perform. His playing earned him his own guitar, and soon after Joe formed a singing group comprised of Tito, Jackie and Jermaine. The kids performed in grocery stores and at school functions, then moved to talent shows when Tito was 12. About that time, 7-year-old Michael joined in as lead singer and they won the Amateur Night competition at The Apollo Theater in August 1967. Joe started working part-time at the mill and got them a recording contract with Steeltown Records. Two years later, the Jackson 5 signed with Motown Records in Detroit, and the rest is history. The Burt Reynolds look-alike was a first baseman who played most of his career with the Cardinals and the Mets. His hitting was 31 percent above league average, and he got Gold Glove awards in 11 consecutive seasons, a record for a first baseman. Hernandez grew up in California, but he’s not Mexican, as many assume. His father is Spanish and his mother, Scots-Irish. A standout player in high school, he sat out his senior year over a dispute with his coach. Scouts noted his “poor attitude,” and he headed off to Jr. College for a year of play before being drafted a dubious 783rd in the 41st round in 1971 by the Cards. Sometimes it’s those late picks that really pay off. Hernandez shares a birthday with superstar Mickey Mantle, and insisted on having a number that ended in “7” like his hero. Wearing number 37, he won National League MVP in1979, an honor he shared with Willie Stargell, the only time in history two players were awarded the exact same number of points by the Baseball Writers’ Association of America. He became a regular .300 hitter, and the Cards triumphed in the 1982 World Series, where he hit a home run in game six, and batted in eight runs over seven games. 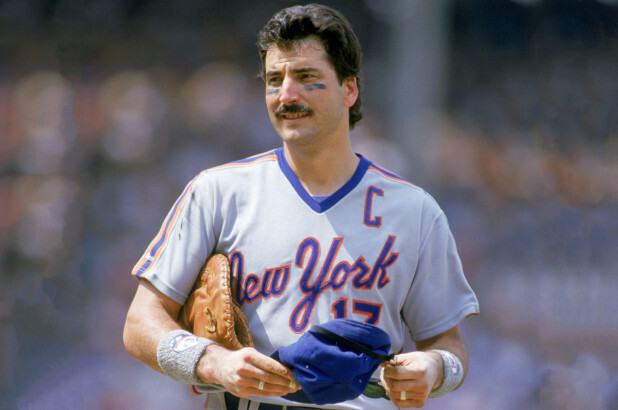 Despite outstanding play, a dispute with manager Whitey Herzog got Hernandez traded to the Mets in 1983. Herzog said the first baseman had become a cancer in his team and he never regretted the trade. Later, Hernandez admitted it might have been his cocaine use that put him on the outs, and he testified that about 40 percent of players were using the drug at that time. He says he quit using it after getting traded. Hernandez had a great career with the Mets wearing number 17 (37 had been retired for Casey Stengel), and is widely considered the greatest fielder among first basemen in major league history. With the Mets, he won the 1986 World Series and was named team captain the following year. His reputation was as a “party hard, play harder” pretty boy with a great arm and a vicious swing. However, even the best begin to age, and back, knee and hamstring issues forced a decision not to re-sign him after his contract ran out in 1989. In retirement, Hernandez has published four books, did some acting work and served as a broadcaster, as well as supporting many charity organizations. He has a special fondness for funding the Alzheimer’s Association after losing his mother to the disease. 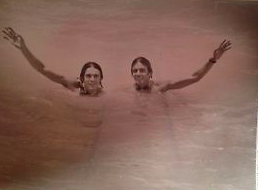 Identical twins Jonathan and James di Donato (the Tiger Twins) swam 28 miles around the island of Manhattan to become the first to manage the feat using the butterfly stroke in 1983. It took them nine hours and 43 minutes to succeed. Training included a 16.5 mile butterfly swim from Ft. Lauderdale to Pompano Beach and back. The duo trained three hours a day. All that training leads to a buff physique, and for these athletes, hard bodies led to becoming finalists in Cosmopolitan’s first male centerfold contest. Later in their careers, they set a record distance for swimming the butterfly of 47 miles. If you’d like to give their record a go, you’ll need to get in shape. Their workout routine started by swimming four hours in the ocean wearing drag suits and 1-pound wrist weights. Dryland training included 3 miles of sprint interval runs, plus 20 sets of 50 pushups finished with countless sit-ups using 20-pound weights on their chests. One last tip: sharks can be a problem in open water swims. The Tiger Twins added soap flakes to their wetsuits to put the beasts off their scent. Health - Can Pumping Iron Extend Your Life? Have you been feeling stuck in a rut lately? How about challenging a Guiness record for 2019! Think of something really crazy where there won’t be much competition. Hmmm. Oldest trapeze artist? You’ll have to be over age 85, because that’s how old Betty Goedhart of California is, and she’s still at it. "I love to do things that are kind of ... extraordinary and have really enjoyed doing things that nobody else wants to do," Goedhart says. She liked watching circus performers in Kansas City when she was young, but she didn’t take her first trapeze class until she was 78. "[‘I] thought that looked a bit scary, but I could hardly wait to get up there," she says. A new category of exchange-traded funds that incorporate artificial intelligence to predict market outcomes has arrived, along with ETFs composed of AI technology leaders. Should you invest? They’re making decisions in your stock portfolio, and in more and more of the companies you invest in. Artificial intelligence (AI) is here to stay. Is there cause to be wary, or does this present a new set of investing opportunities? Exchange-traded funds (ETFs) are a staple of many stock portfolios. With generally lower expense ratios than mutual funds and the ability to maintain diversification by investing in a basket of stocks, they’re among the most popular investment vehicles. It’s no wonder that AI and ETFs have intersected to create novel products for today’s investor. First, let’s talk about how to define AI. On a basic level, it’s a computer science field that builds smarts into electronic systems. An AI system is capable of perceiving data, learning and then taking action to reach specified goals. There’s no emotion involved. An AI asset management system will never engage in panic selling, and it won’t buy high when euphoria strikes the market. It will never go on gut instinct, either. Its key advantage lies in its superhuman ability to process massive amounts of data and make investment decisions based on that information. AI systems never make the same mistake twice, because they learn as they go. Based on statistical probabilities, they are able to analyze past reactions to economic events and calculate likely outcomes for a stock or industry under present circumstances. Human investors can benefit from using AI to make better trades. These networks can aggregate large volumes of data to make continuous portfolio adjustments based on various market indicators, while incorporating new signals without human bias. Invesco QQQ (QQQ) Focused on the big tech FAANG stocks. Apple (AAPL) and Amazon (AMZN) headline 104 holdings and nearly $68 billion in assets. Technology Select Sector SPDR Fund (XLK) Tech tied to AI. With assets of about $22 billion, its top two holdings are Microsoft (MSFT) and Alphabet (GOOG). Vanguard Information Technology ETF (VGT) Broadly diversified with over 350 names and $21 billion. The largest holdings are Apple (AAPL) and Microsoft (MSFT). Global X Robotics & Artificial Intelligence Thematic ETF (BOTZ) Small ($2.3 billion in assets) and focused. BOTZ’s largest holdings are Nvidia (NVDA) and Intuitive Surgical (ISRG), while Japanese companies and those headquartered in Asia make up most of the rest. It used to be that AI investment systems were considered “black boxes” where information got jammed into a conceptual box that then spit out recommendations. Current systems are much more flexible and suitable for constantly changing inputs and market conditions. Each of them is unique. When analyzing current offerings among funds, an effort must be made to understand the system being used. Each investment platform design can differ in meaningful ways that affect performance output. An AI system is only as good as the team that designed and maintains it. Investors should attempt to understand what drives the algorithms and which opportunities they are programmed to find. No long-term data is yet available to judge how well these systems work. Around 90 percent of electronic data was created within the last two years, and in another couple of years, we will likely be saying exactly the same thing. Investing without using AI will quickly become obsolete. AI is disrupting the ETF industry by assisting fund managers in making subtle tweaks to their baskets of stocks in search of better returns. There are currently a growing number of ETFs that either promote the use of AI to balance the fund, or are made up of stocks that lean heavily on AI, such as robotics. ETF management is enhanced by AI without raising expense ratios exorbitantly. While the research that goes into AI development isn’t cheap, there are no known cases of a computer demanding a raise or insisting on a bonus. It’s unlikely that AI will replace investment advisors, human managers and fund analysts right away. Currently, it allows them to work more efficiently as the machines do the dirty work of wading through masses of market data. But that could be changing. Chida Khafua is the co-founder and CEO of EquBot, the first firm to introduce an AI-powered ETF, and the first to offer an AI-powered ETF focused on international equity. Prepare to age in place while avoiding that dreaded “nouveau nursing home” look that makes you cringe. Many of us are getting older, and looking around our current home makes us realize that it’s not going to fit our needs in future years. Perhaps our parents are aging, and it’s only a matter of time until we need to take them in under our roof to keep them safe and comfortable. Or maybe we’re looking to downsize, and we want to do some remodeling on the “new” house before we move in so that it fits our needs for the rest of our life. But … we’re secretly a little worried, or maybe a lot worried, that the end result will make our cozy home look like nursing central, with an IV bag and portable bed the only missing items. “I’m too young for that!” we think, no matter our age. We still want to entertain friends, dance to the radio, have a glass of wine and play Twister with the grandkids. So what do we do? Age-proofing is no longer synonymous with linoleum floors and industrial-strength grab bars. Thank goodness! There’s a whole new world of products that cater to tasteful design, and may even enhance the coolness factor of your current abode. Who doesn’t want a teak shower seat?! If you want a professional look, hire a professional remodeler. No matter who works on your home, your contractor and any sub-contractors should have a license (so they can pull permits from the municipality or county), insurance (to back up their work) and a bonding certificate (to pay up if they steal from you or fail to perform contracted work). If they can’t show you these documents, show them the door. Otherwise, you may be out of luck with inferior workmanship, failure to pass code or even someone who takes your deposit and leaves town. Find a pro who has done aging in place remodels many times, can show you before and after photos and is willing to provide references. Ask if the project was done on time, without cost overruns. One way to vet local contractors is to use Nextdoor to ask your neighbors their opinion, or pay a small fee for an Angie’s List recommendation. Be a savvy shopper. Home Advisor is in business to sell advertising and offers absolutely no guarantee to the consumer. You might also want to contact some Certified Aging-in-Place Specialists (CAPSs). These are remodelers, designers, occupational therapists and architects who have gotten specialized training from the National Association of Home Builders. Talk with several on the phone, then ask your favorites for an in-home consultation. Hire someone who can work in your timeframe and budget. Finally, we have nothing against a local handyman who has demonstrated his ability to do the scope of work you have in mind. Before you hire him, read our advice, above, and make sure he fills the bill on all counts. Generally, you’ll need more light as you get older. Installing automatic lights at outside doors helps illuminate your path at dusk and early morning. Check your indoor lighting, too. It’s often less expensive to buy additional lamps than to install lighting. In closets, try something like this motion-detector LED light bar for under $20, or a Luna tap light for less than $10. Reduce furniture and clutter throughout your home for greater freedom of movement. About three feet is enough room for a wheelchair or walker to get through. Consider lowering switches for greater accessibility by people of all heights. Rocker light switches are easier for arthritic hands than those requiring pinching or grasping. Switch circular doorknobs to lever hardware and benefit even if you’re just coming in from the garage with hands full of groceries. In the laundry room, front-loading machines on pedestals are the easiest to access. Switch from liquid detergent to powder to reduce weight. And for safety at the sink or in the bathroom, lower the heat on your hot water heater to a maximum of 120 degrees to avoid burns. Like many homes, yours may not have a full bath on the main floor. This may force you to think that your only option for a move-in parent who can’t climb stairs is to install a chair lift. These can be pricey, whether you buy or rent. One alternative is to consider turning a main floor living room, den or family room into a bedroom space. A shower rod outfitted with new curtains may be all the investment you need to provide privacy, or try some inexpensive room dividers from IKEA, Bed Bath and Beyond, or Pier 1. Use the money you save from the stair lift to add a wet room or shower to the main floor bathroom. Many contractors have become experts at this trick, so the improvements look high-end. It should add value to your home when and if you sell, as an added benefit. A shallow sink is ideal, with the faucet on the side, rather than at the back, for easy access. Adding pull-out shelves can be a lifesaver for people with diminished eyesight or mobility. You can find these shelves at home improvement stores. “D” shaped handles are the easiest for most people to grab. Hardware that is on the large side will be easier to grasp, opening up a wide range of stylish options. Appliances should have easy-to-read knobs and dials with big, high-contrast letters and numbers. Even better are those that display information with an intuitive image. Illuminated water and ice dispensers are a boon on the fridge, as is a long door handle with multiple gripping points. Top-mount models with the freezer (used less often) underneath are also a good choice. If you’re in charge of a new build, or remodeling old cupboards, consider raising the height of countertops, or leave space underneath for a wheelchair to fit. Standard countertop heights are not ideal for people of different heights, or for different uses. For example, it may be easier to roll out biscuits on a high counter, and leave the rest lower. Universal design is a simple concept. Products and environments should be friendly to all people, whether or not they have special needs. It goes hand-in-glove with aging in place. More and more homes are built with these principles in mind, to cater to a growing segment of the population. Review these tenets of universal design, and think how your own home stacks up. Equitable use. A group of people with diverse abilities would find your home equally easy to use. Flexibility of use. Individual preferences (such as right-or left-handedness) are accommodated. Simple, intuitive use. Lighting systems, appliances and bathrooms don’t require special knowledge, language skills or concentration to understand and use. Accessible information. The design says it all, regardless of ambient conditions or sensory abilities. Pictures or audible or tactile methods communicate information. Tolerance for error. The design is forgiving, minimizing hazards and the consequences of accidents or fatigue. The most-used elements are most accessible. Low physical effort. Efficiency and comfort dictate design. Adequate size and space. Room is provided for approach, reach, manipulation and use, no matter the size, posture or ability of the user. There’s no room more important than the bathroom for aging in place. We use them all day long, and they have wet zones, which increase the possibility of slips and falls. But we also want them to look beautiful, and giant grab bars don’t jibe with that image. Fear not; accessible bathrooms have come a long way. Let’s start with the shower bench. You can have one built right into your custom shower. Add some waterproof cushions to pad your tush. If you prefer the flexibility of a removable bench or seat, there are plenty of options besides the plastic and steel version at Walmart (which is plenty serviceable in a pinch). To take it up a notch, try something in teak that tickles your fancy and goes with any décor. Teak wood can take the abuse of daily hot showers and still look good. If you’re pressed for space, try this fold-up version. Know what else you need? A handheld shower head, especially one that travels up and down a pole to adjust the height of the spray, helps reach every spot. They’re getting to be ubiquitous in toney homes, so it’s easy to find a model to fit your style for under $200. Now, about those grab bars. They can serve double duty as towel racks, and they don’t have to be as big as your arm in stainless steel. Check out Moen grab bar styles, just to show you what one company offers. Choose your style and choose your finish. (Our favorite is the Old World Bronze). To be sure, some of the models are a bit … hospital bathroom style, shall we say? But we have choices! You might want to increase the height of your vanity (sinks and counters, for those of us who didn’t know we had a vanity). Standard installation is 31 ½ inches, including the countertop. If you’re on the taller side, try having them put in at 34 ½ inches, which is standard counter height in the kitchen, to prevent from hunching over to wash your face. Caveats are for short people and those in wheelchairs. Wheelchair-accessible counter heights are 34 inches maximum as specified in the Americans with Disabilities Act guidelines. As muscle mass declines, standing and rising from the sitting position can become difficult. Make your life easier with a “comfort-height” toilet. They’re 17 to 19 inches high, versus the standard 16-inch potty. And there are companies out there making them beautiful! Choose one that is an exact style match to your pedestal sink, or one that blends into your contemporary scheme. There are even toilets that disguise the little wiggle drain in the porcelain so you don’t have to be reminded what that luscious piece of art is really for. Check here for your favorite comfort toilet style. Glass walls and doors are the rage for opening up a smaller bathroom space, but they’re a pain in the comfort toilet zone to clean. It’s unlikely that you’ll want to squeegee those walls when you’re 85 (although if you can’t see they’re coated in water spots, you might not care). So if that’s an issue, or if you just hate cleaning those dang doors right now, try an open shower. If you have the space, remodelers can put in one that has a gradual slant toward the drain and no curb to step over. While you’re at it, wire in a light above the shower and one where you step out. Porcelain wall and floor tiles are super durable and easy to clean. If you hate grout, ask for porcelain floor tile with a rectified edge. These allow for tiny grout joints as small as 1/16 inch, and you can still use presealed grout. Your flooring needs to have high slip resistance, whatever you use. Look for grooves, or feel the texture. Tile is rated by measuring the coefficient of friction, which can usually be found on the manufacturer’s website. Check the three categories of tile slip resistance here. Now you know that your home can be stunning at the same time it’s ready for you to age in place. No matter what your taste, the kitchen and bath can have increased functionality without losing any of your style. Changes can be made all at once or over time, depending on your budget. Making your home safer may allow you to live independently for many years longer, and perhaps for the rest of your life. More “retirees” are working into their 70s and 80s. Here are the surprising statistics on senior employment, and how working late in life affects everything from mood to mortality. Blanca Almonte retired at age 65 and moved to the West Coast to live with her younger sister. She’d immigrated to the U.S. from Mexico at the age of 12, and gone on to earn a master’s degree in social work. Almonte played a pivotal role in the founding of Family Focus, a Chicago-area nonprofit dedicated to helping the parents of young children. "We bought a house, got a couple of dogs and did a lot of gardening. But it just wasn't enough,” Almonte recalls. “It took me a while to figure it out, but I was missing a sense of making a difference." After a year of leisure, she went back to work at a California non-profit helping foster kids find their forever homes. Ten years down the road, she is still on the job. The extra money funds home remodeling and travel. Now, at age 75, she enjoys perks like taking Fridays off. Higher levels of education may be fueling the trend to work later in life. Only 15 percent of men between 60 and 74 had a college degree in 1985, but in 2011, 32 percent did. Figures for women are lower but reflect the same rise. 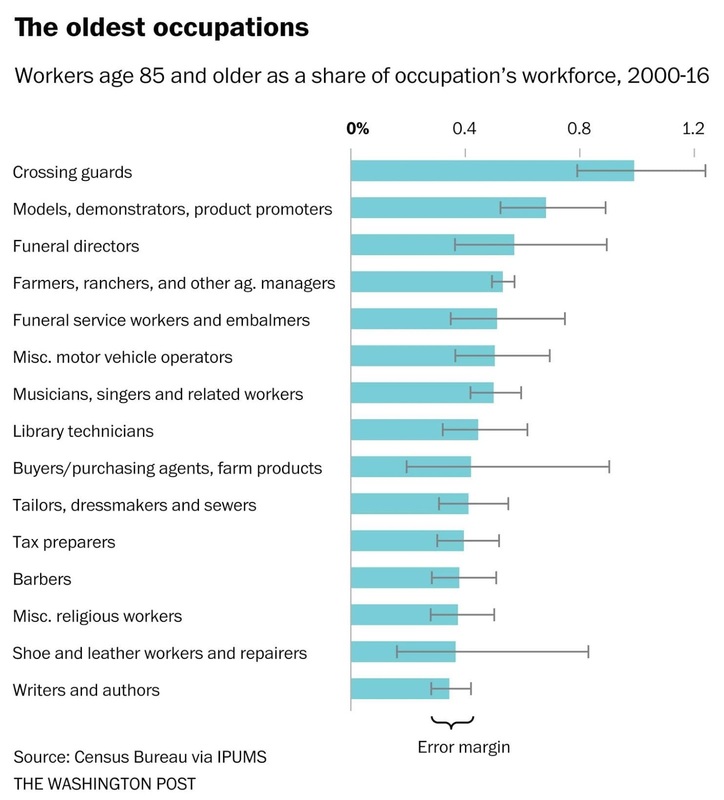 High-status workers tend to be the norm among older Americans; 61 percent of workers ages 62 to 74 in 2009 held doctorates or professional degrees. Only 28 percent of the group had stopped their education after high school. The hottest demographic in the labor market today are those working into their 70s, 80s and beyond. The Bureau of Labor Statistics reports this will be the fastest-growing group in the near future. For example, the rate of employment among those age 75 and up is expected to more than double from 5 percent in 2002 to 11 percent in 2022. Meanwhile, participation among younger groups is predicted to flat line or even dip. Perhaps 85 is the new 55; America is embracing 225,000 workers 85 or older in the last 12 months, the highest number on record. In fact, their ranks have doubled since the Great Recession. What sort of work are they doing? Everything from ranchers to crossing guards, salespeople to truckers. They’re not concentrated by race, ethnicity or region, but tend to hold jobs that are less physically demanding. Vice President of EP Wealth Advisors in West Los Angeles Clint Camua remembers one of his clients who worked into her 80s, and two jobs at that. "She worked as an assistant to a judge from 7 a.m. to 3 or 4 p.m.; then, she would go to the race track and be a security guard, carrying a weapon,” he recalls. She didn’t need to work, although the financial benefit was huge. Her savings continued to grow until she got sick and moved into an assisted living facility, where she is still socially active at the age of 91. 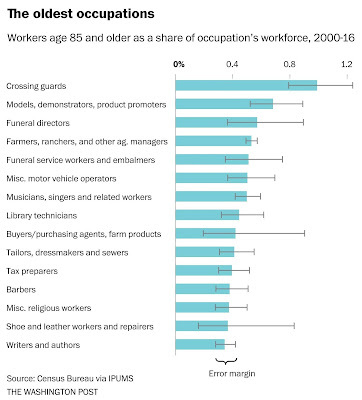 "In general, people who engage in organized work have higher age of mortality," Pillemer said. "Working leads to other outcomes that are beneficial." After a lifetime of routine and regular human interaction, retirement can feel isolating and lonely. Human interaction, even if it’s just with colleagues, can affect mental health and in turn, physical health. Loss of work can correspond with a slide in relationships. A recent study found that working after retirement age could produce feelings of happiness when friends were at work. "People who stay active socially, physically and intellectually have less chance of developing dementia," said Dr. James Warner, an old-age psychiatrist at Imperial College London. He added that "the biggest single risk factor for becoming depressed in the elderly is social isolation." Economic improvement. Two problems are solved when older people continue to work: the retirement savings crisis, and the need to keep seniors engaged. "It's difficult to maintain a healthy lifestyle on an old-age pension," Warner added. Things like keeping the house warm, eating well and going on holidays require income at any age. These are all small things where a little extra money will benefit you, he said. Sense of purpose. When someone loses their defining role in life, it can contribute to worsening mental and physical health. A sobering report from the Institute of Economic Affairs correlates retirement with decreased mental and self-assessed health. Some results indicated the probability of suffering clinical depression increased by 40 percent. "The meaningfulness and sense of purpose that older people have in their lives are also related to survival," said Professor Andrew Steptoe, director of the University College London Institute of Epidemiology and Health Care. "The findings raise the intriguing possibility that increasing wellbeing could help to improve physical health." Physical health. Retirees benefit from physical activity, like everyone. Even if they commute to work and move around on the job, that’s better than sitting at home. And that physical activity is tied to mental well-being and therefore, happiness. One caveat to note is that all of the described benefits are only applicable when people choose to work in their later years. "If you're forced for economic reasons to work when you don't want to ... that's not a good outcome," Pillemer said. "It's a balance," Warner said. "It shouldn't become an expectation. It should be encouraged." Several recent studies point to the same conclusion: Weight training can help you live longer. Maybe you were a weightlifter, way back when. Or you used to do pushups and sit-ups … but that was a long time ago. Now, you keep fit with a daily walk or bike ride. That’s enough, right? Fitness professionals and health workers know that whether you’re in your teens or 80 years old, strength exercises are crucial. They help build muscle and bone mass, and research has found that they not only help you live better, but longer. "Strength training isn't necessarily the first thing that pops into people's mind when they think about activities they should be doing when they're older," says Dr. Jennifer Kraschnewski, an associate professor of medicine, pediatrics and public health sciences at the Penn State College of Medicine. "But the truth is that very good evidence [is available] to show that 80-year-olds are just as able to improve their muscle mass as 50-year-olds. And this can be done reliably over a very short period of time – something as short as two to three months." Kraschnewski led a large study, published in the journal Preventive Medicine, that followed more than 30,000 adults aged 65 and up. Data from a National Health Interview survey found a little less than 10 percent met the standard of at least two sessions of strength training per week, whether it was from lifting weights, using machines in the gym or performing calisthenics. Over a period of 15 years, participants who reported meeting the guidelines had a 46 percent lower chance of dying from any cause, including cardiovascular disease and cancer, than the rest of the group. Other research supports the findings. Strength training is correlated with a reduced risk of death for groups ranging from those with chronic obstructive pulmonary disease (COPD) to women, according to studies published in the Journal of the American Heart Association. Blood sugar regulation is enhanced when muscles get bigger, which helps to clear out excess glucose, decreasing your risk of diabetes. Larger muscles also help your body reduce inflammation, and then there’s the increased stability, strength and balance that lower your risk of falling. There’s a reason weight training is so good for you. In fact, there are seven of them! It increases your metabolic rate. Your body uses more calories all day long when it has more muscle mass. A pound of muscle burns an extra 50 calories a day when it’s just resting. It makes bone mineral denser. Although your bones don’t increase in size with strength training, they do become denser to help fight off osteoporosis. It builds muscle. A study of people who lifted weights for 25 minutes a day, three times a week, showed a gain of up to three pounds of muscle mass in just eight weeks. It makes you feel better. Hormones and neurochemicals get released that trigger feelings of happiness. Endorphins, adrenaline and dopamine help fight stress, too. It decreases muscle loss. Normal aging results in the loss of about a pound of muscle a year from the time you turn 30, but strength training counteracts this phenomenon. It prevents a reduction in metabolic rate. Resting metabolic rates don’t dip when muscle mass is increased. Muscles need more calories for fuel, instead of your body storing them as fat. It spurs glucose metabolism. Regular weight training can bump glucose metabolism by 23 percent, lowering the odds for adult onset diabetes. So, how much time are we looking at here? Do you have to go to the gym? Never learned how to use free weights? Don’t know what a free weight is? Patience, grasshopper, it’s not hard to get started. First, the time commitment. That’s what you wanted to hear! It’s always a good idea to have a chat with your doctor before you start exercising, by the way, but we’re not talking about marathon sessions to get results. You don’t have to use weights, either. "In general, there are safe exercises for everyone, but it may require tailoring for your specific conditions," Kraschnewski said. "Strength training can be done at home and many exercises don't actually require equipment." Yep, that’s right. Pushups, sit-ups and leg squats all use your own body weight to force your muscles to grow. Remember Jack LaLanne? Check out LaLanne’s old show on YouTube. The man could make a jumpsuit look good, and he taught exercises using nothing but the furniture you have at home. By the way, he was three years shy of 100 when he died in 2011. Another idea is to use resistance bands in your home-based program. They resemble giant rubber bands and up your effort level when you push or pull to stretch them out. Yoga is another way to get in a strength workout. But don’t rule out the gym, either. Consider getting a coach to create a routine that will give you the most benefit. Many gyms will instruct you on how to use their equipment so you feel comfortable. Free weights, which are dumbbells and other weights not attached to an apparatus, are great for balance and strength but do require more technique. YouTube videos and mirrors can provide backup to a good instructor. The main thing is to get started. "Older adults have the ability to achieve strength similar to those decades younger by engaging in simple strength training routines," Kraschnewski said. Remember that you can’t keep lifting the same weight and expect to get stronger. The goal is to gradually move up to heavier weights, and add repetitions, varying your workout. Here’s a tutorial on how to get started. If you like his Beast Mode t-shirt, you can get one here. Finally, expect some soreness. It’s what happens after a good workout, and it means that your muscles got the message they need to bulk up. Pain from an injury is a different matter. A torn ligament can set you back for months. That’s why form is so important. Combined with regular aerobic exercise, strength training can help you live a longer, fuller life that is active to the end. Loneliness and social isolation are in direct contrast to the basic human need for love and belonging. Social isolation effects everyone at any age but continues to become more prevalent in older age and can be detrimental to both physical and mental health. All over the globe, social isolation rates continue to increase, particularly in older adults. According to a recent AARP report, social isolation and loneliness is present in more than 8 million people in America over the age of 50. According to the study, 35% of respondents said they were isolated and 45% responded they were lonely for 6 or more years (AARP, 2017). Psychological – exp. Mental health problems ie. Depression, dementia, etc. Participating in creative and artful activities can offer older adults more opportunities to become more active within their community and decrease social isolation and loneliness. Engaging in creative activities have been shown to stabilize heart rate, regulate hormone levels, and increase hormones associated with feeling good. In addition, decreases in pain level, improved mood, improved physical functioning, and positive neurological changes found when older adults participate in various art forms (Cohen 2000). 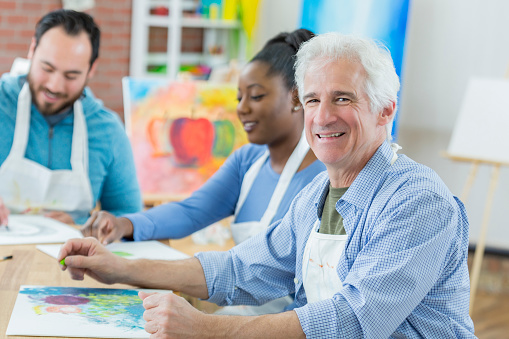 Engaging individuals in the arts throughout the life course may serve as primary prevention tool in combating and preventing social isolation and loneliness before negative health effects can take hold. Tobi Abramson, PhD, has worked for the past 30 years as a licensed psychologist to improve the mental health of older adults and their families. She is currently the Director of Geriatric Mental Health at the New York City Department for the Aging and a Fellow of The New York Academy of Medicine and consults, conducts training's, and writes about geriatric mental health. J. De Jong Gierveld and T. Van Tilburg, Research on Aging 2006, 28, 582-598. Cohen, G. D. (2000). The Creative Age. HarperCollins Publishers, New York, NY. Penninx, B.W., Guralnik, J.M., Ferrucci, L., Simonsick, E.M., Deeg, D.J., & Wallace, R.B. (1998). Depressive symptoms and physical decline in community-dwelling older persons. JAMA, 279(21), 1720-1726.